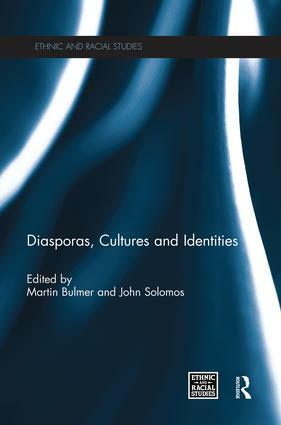 Diasporas, Cultures and Identities brings together a range of original research papers from Ethnic and Racial Studies that are concerned with the question of the role of diasporic ties and the social, cultural and political processes that are engendered by the changing experiences of these communities. Chapters cover a range of geopolitical and empirical contexts and serve to highlight the diverse theoretical and empirical questions that have become an integral part of the study of race and ethnicity in the contemporary environment. The study of the role of diasporas in modern societies has proceeded apace over the past two decades. Although the role of diasporic communities has been the subject of historical reflection for some time, it is only now that the concept of diaspora has become a core theme in the social sciences and humanities. We have seen an ongoing discussion about notions such as diaspora, transnationalism and cosmopolitanism and their appropriateness as conceptual frames of reference for analyzing the diverse experiences of communities that have become dispersed across the globe. This collection makes an important contribution to this body of scholarship and research. This book was originally published as a special issue of Ethnic and Racial Studies. Martin Bulmer is Emeritus Professor of Sociology at the University of Surrey, UK. He retired in 2008, prior to which he was also Director of the ESRC Question Bank. He has edited the journal Ethnic and Racial Studies since 1993. John Solomos is Professor of Sociology at City University London, UK. He has carried out extensive research on race, politics and social change and on theories of race and ethnicity. He is co-editor of Ethnic and Racial Studies. Race, ethnicity and nationalism are at the heart of many of the major social and political issues in the present global environment. New antagonisms have emerged which require a rethinking of traditional theoretical and empirical perspectives. The books in this series are based on special issues of Ethnic and Racial Studies, the leading journal for the analysis of these issues throughout the world. Expert authors and editors present interdisciplinary research and theoretical analysis, drawing on sociology, social policy, anthropology, political science, economics, geography, international relations, history, social psychology and cultural studies.